We have an upcoming summit with North Korea on the books. We’ve withdrawn from a terrible nuclear agreement with Iran. And there’s a new bill to fix the Deferred Action for Childhood Arrivals bill that’s being mulled on the Hill. A group of moderate Republicans are trying to force House Speaker Paul Ryan to hold a vote on the bill that at first, seemed to supposedly have the votes to pass. Early reports claimed there were 218 people onboard with moving forward this this bill. Mr. Ryan is not committed to holding a debate, though he supports a DACA fix. There’s a lot of news, which is not dominated by Stormy Daniels and Sen. John McCain (R-AZ); the White House is on defense after Kelly Sadler, a special assistant to the president, made a joke about the Arizona Republican dying. Mr. McCain has been fighting an aggressive brain cancer for months. Yet, what’s also happening is that the recent anti-gun activism has led to record gun sales. At the same time, NICS checks for carry permits may have added to the April totals, which the publication adds. Regardless, there is no doubt that the sense of complacency, for the lack of a better term, which set in last year, is no more. 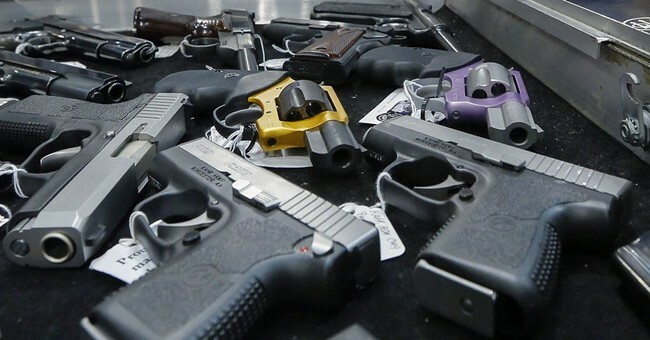 Two Republican and pro-Second Amendment governors, Rick Scott and Phil Scott, have signed anti-gun bills into law in Florida and Vermont respectively. And the blue states are pushing local or statewide initiatives that would either virtually ban guns or force law-abiding owners to register them, destroy them, transfer them out of the state or locality, or surrender them to the police. The anti-gun Left won legislative victories in Vermont and Florida. That was the inch, now they’re going to take several thousand miles. The 2018 midterms will be critical; don’t forget to vote. This theme was pervasive at the NRA’s Annual Meeting in Dallas. Horrible anti-gun legislation waits in the wings. Don’t forget about that when November rolls around.